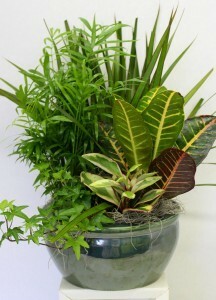 elegant ceramic container filled with beautiful green plants. 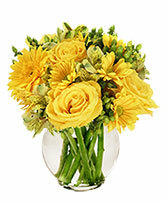 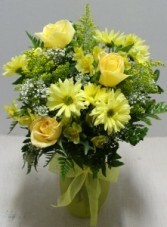 A long lasting gift for many occaisions. 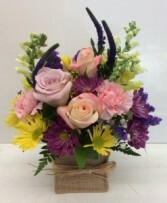 This is a burlap cube filled with snapdragons, roses, carnations, daisies and other seasonal flowers.